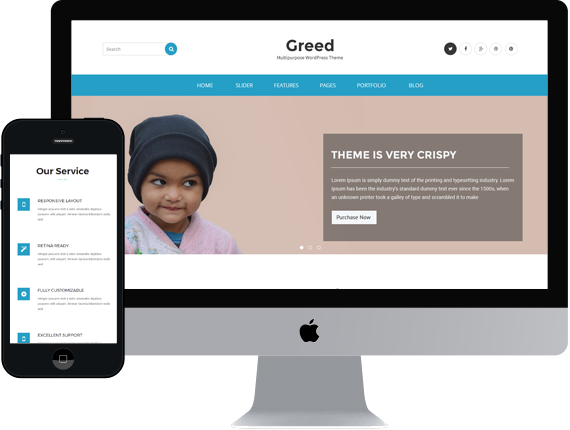 Greed is a modern looking, multipurpose and responsive WordPress theme. Packed with powerful features and spectacular design. It comes with intuitive interface and high flexibility. It enables you to configure most of its elements right from the back-end without touching a single line of codes. Comes with drag and drop page builder and it is WooCommerce ready to make it selling a breeze.